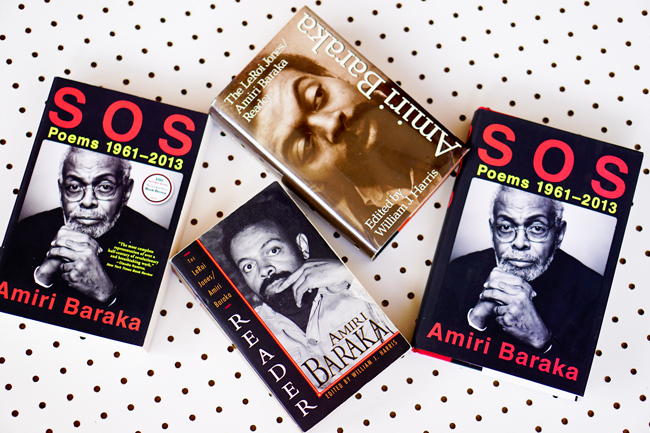 The dramatic shift in Amiri Baraka's style of delivery is arguably one of the great movements in the histories of American and African American poetry. Rarely has an individual poet's sound changed in such spectacular fashion. Earlier this week, I was having my students listen to a recording of Baraka reading "Snake Eyes" in 1964. Then, I played some of his readings from the album It's Nation Time (1972). "Can you believe that's the same poet?" I asked. They couldn't. The Black Arts Movement remains a defining moment in literary history, and so too was Baraka's sonic movement.